Sifu Leon Dogan has always had a deep passion for martial arts and has devoted his time and effort to train that passion from a very young age. 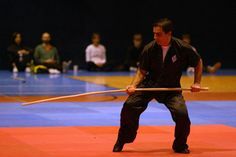 Sifu grew up in Turkey, in a city where martial arts training was limited at the time, and the opportunity just to walk into a school of your choice was absent. The two most significant combat orientated sports available were wrestling, the Turkish national sport, and Taekwondo, a sport which grew in the 60’s, and for which Turkey gained a good reputation for producing high-quality competitors. Initially, Sifu began to wrestle, as this was the only one out of the two available in the city he lived in. In 1983, at the age of 10, a taekwondo school opened in the city, but unfortunately, like most things, classes had to be paid for, and Sifu did not have the money to do so. Like any ten-year-old child, he turned to his parents and begged, pleaded, for the opportunity to go, yet his parents stood firm and persisted they would not pay for lessons. Undeterred by this, Leon decided to find jobs to fund lessons and began selling pastries for a commission from a bakery, rising at 4 am to sell everything before school, and even shining shoes with friends after school to make enough money to go. Impressed by his determination and will power to succeed, he was allowed to start Taekwondo, his first and certainly not his last taste of martial arts. His teachers were impressed, not just by his skill, but his mature attitude and dedication to training. What is still evident to this day and something we are sure his teachers saw in him then, was the hunger to train/ learn driven straight from the heart. Sifu started training martial arts from pure love for them and his view of the same changes as he learned more and more about different arts. He didn’t look at martial arts as a way of hurting others but a way to defend against those that want to cause harm. Later on, he also shared his thoughts on martial arts and said that they change the human for better. They show us another way to observe our surroundings and perceive anyone and everyone around us. 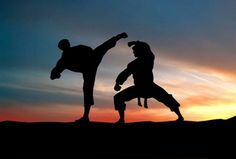 This, of course, refers to the fact that training martial arts change us as well as our perception of the life in general.